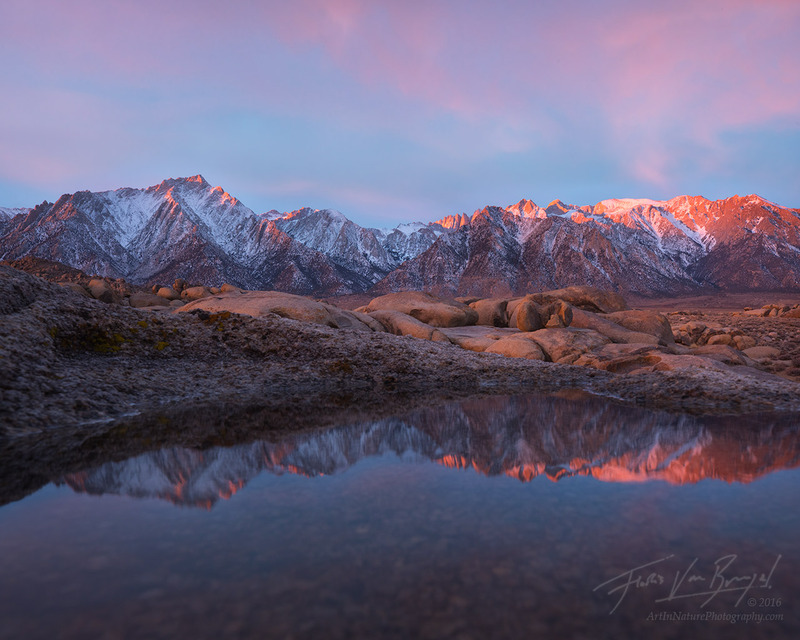 A rare and fleeting pool of water in the desert environment of California's Owens Valley, with a view of Lone Pine peak (left). To be honest, I may have helped top off this particular pothole (others, with less inspiring views, were full). I should have been there a few days earlier!